Disney Parks Blog has officially confirmed that IllumiNations: Reflections of Earth will be discontinued in the future as part of the transformation efforts underway at Epcot. The Disney Parks Live Entertainment team is already busy creating new thrills to debut immediately following the conclusion of IllumiNations in order to continue the tradition of nightly entertainment on the World Showcase Lagoon. The evening show is currently planned to run through the end of the summer in 2019. It first debuted in October 1999 and has been performed on most evenings at the park ever since. There are a lot of great things coming to Epcot and a new nighttime fireworks show is definitely expected to play into that. New attractions that have already been confirmed at a Guardians of the Galaxy themed roller coaster attraction, an attraction in the World Showcase that is inspired by Ratatouille and a new table service dining experience that will be located next to Mission: SPACE. There are also other attractions and experiences that are rumored, but not officially confirmed yet by Disney. Of course we will keep you all posted as we learn more about what we can expect from the new nighttime fireworks show for Epcot. At least you still have plenty of time to catch the show before it is gone forever! 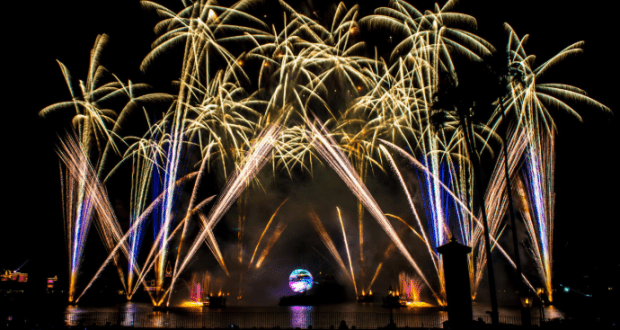 Who will be sad to see IllumiNations: Reflection of Earth leave Epcot?